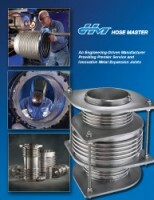 Hose Master is a premier manufacturer of metal bellows and metal expansion joints. 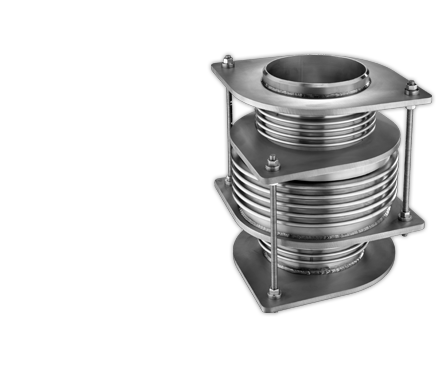 We offer both pre-engineered expansion joints and custom-designed expansion joints by leveraging our technical expertise and innovation. Using the winning formula that made us the industry leader for engineered metal hose and assemblies, Hose Master provides the same superior engineering, precisely controlled manufacturing processes, expert quality control, and extraordinary customer service to the art of bellows and expansion joints. Engineering & Manufacturing. At the heart of Hose Master’s success is technical expertise. Proprietary equipment, designed and built in-house, allows us to go beyond ordinary products and deliver superior, value-engineered products. 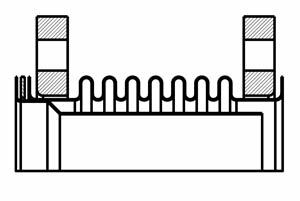 Our skilled engineers are ready to assist you in designing metal expansion joints for the most demanding applications. Quality Assurance. Delivering the highest quality products is a guiding principle at Hose Master. 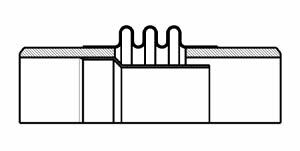 Designs conform to EJMA and ASME Section VIII, meeting the requirements of the piping, boiler and pressure codes – B31.1 and B31.3. This certification applies to the scope of activity related to the fabrication and assembly of pressure piping, which means our engineering and production teams can design systems in accordance with the rules of the ASME Boiler and Pressure Vessel Code. 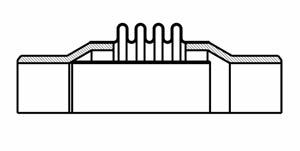 This certification gives Hose Master the “U”, “PP” and “R” Stamps for expansion joints. 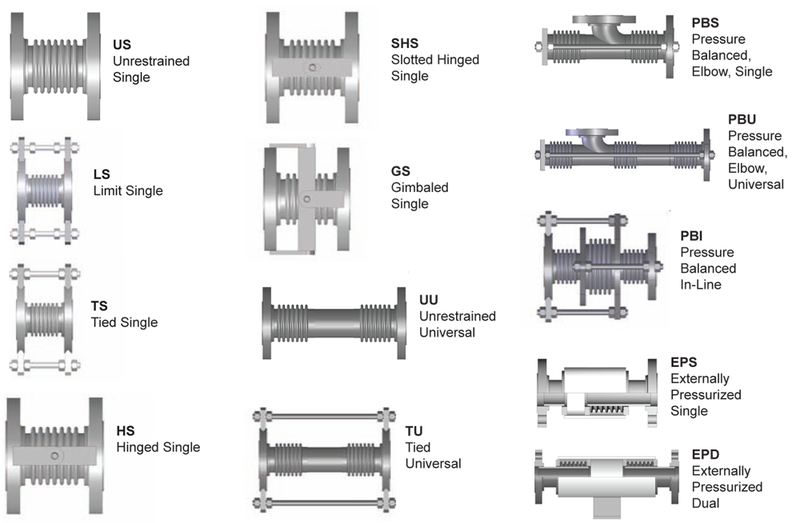 Customer specifications can be verified through Finite Element Analysis (FEA), or 3D CAD modeling. 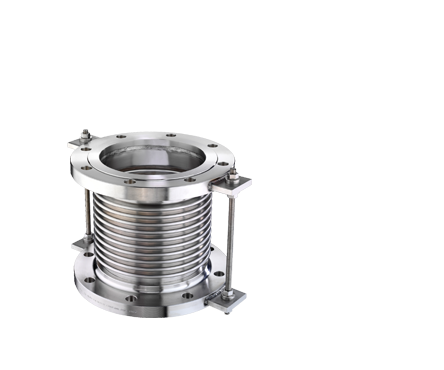 Expansion joint test options include pneumatic, hydrostatic, high-pressure gas, or liquid penetrant methods, as well as helium mass spectrometry and radiography. Product & Failure Analysis. 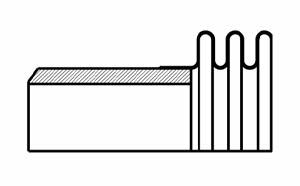 A key to permanently solving any tough metal expansion joint application is to accurately identify the root cause(s) of past failure modes of products removed from service. Hose Master’s in-house product and failure analysis lab can identify various failure modes, whether a result of fatigue, corrosion, deformation, or from a host of other possible causes. Hose Master is the only metal hose and expansion joint manufacturer in North America that offers in-house failure analyses and reverse engineering as a no-charge service to its distributor partners. Service. With 90+ ASME IX Certified welders and a comprehensive material stocking program, Hose Master provides the exceptional service our industry demands. In addition to providing the best standard delivery lead-time, Hose Master offers our After Hours Emergency Service for hose and expansion joints, providing customers an expedited response for critical and time-sensitive situations that arise beyond normal business hours. 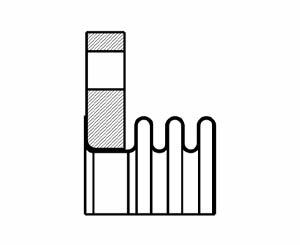 Beveled to facilitate pipe-to-pipe welding. 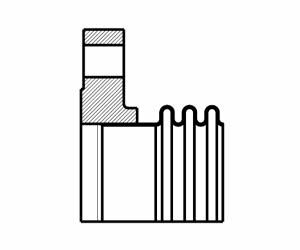 Most common end connection. Recommended for ease of replacement. Requires accurate flange hole alignment. 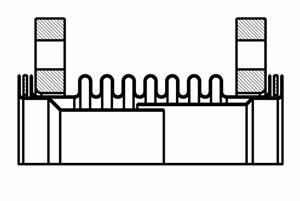 Economical solution for piping systems with misaligned bolt holes. 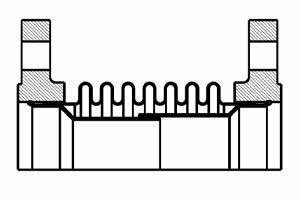 Commonly used when vanstone flanges are not an option. 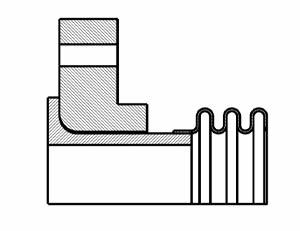 Most common type of internal liner. Maximum durability. 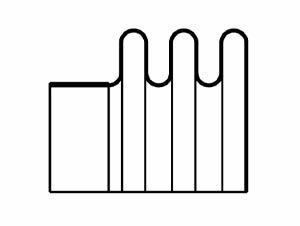 No protrusion into flow-stream. Minimal pressure drop. Recommended for refactory-lined pipe. For large axial movements. Can be removed and cleaned. Expansion Joint Rebuild. Using customer-provided components from an expansion joint removed from service, Hose Master can replace bellows and often reuse pre-existing pipe and fittings. This offers a cost-effective option when dealing with very large diameter expansion joints and special designs. Hose Master can also reverse- engineer the product for its specified application or evaluate the parts that are being replaced in our laboratory to determine the cause of failure. Backed with this knowledge, Hose Master’s team of engineers and ASME IX certified welders can design and make any necessary changes to the expansion joint to enhance its performance and extend its service life.